As you would expect from the name, the Boost Chorus Bass stompbox is dedicated for bass, which is always a great start! You get a lot of hands-on control with this pedal. Six knobs and a push switch. To cover the basic fundamentals, Tech21 provide SPEED and DEPTH controls to sculpt the core tone and flavor of the chorus effect. The MIX knob sets the balance between your dry and FX signal and the TONE knob obviously allows you to make tonal adjustments in case you feel the addition of the effect either darkens or brightens the tone too much. Likewise, the BOOST knob lets you dial in a bit of clean boost if you feel the need to compensate for lost level. The DETUNE knob is interesting and is capable of really adding some unique flavor. It works by detuning the choral voice slightly and is epspecially effective when you activate the MULTI VOICE push-button, working with the alternative voices too. The sound clips in this review are divided into three parts. 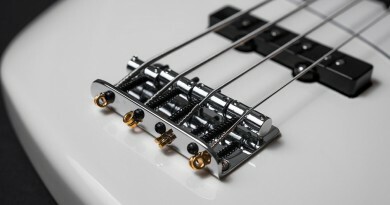 In the first round I am looking at the ability of the Boost Chorus Bass to be subtle and present at the same time… Sounds odd? I’ll take you through the details when you move on to the audio examples. In the second round, I am testing the pedal on chords and in the third round on some legato fingerstyle playing. 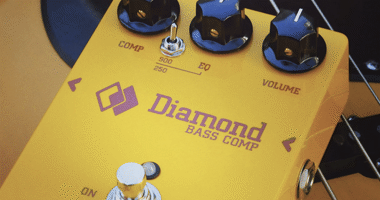 There is no doubt that the Boost Chorus Bass goes far beyond many standard chorus pedals with the MULTI VOICE option and the DETUNE knob as an extra dimension. 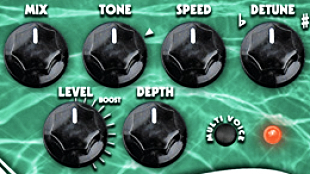 And the TONE and BOOST knobs may be simple adjustment tools, but every now and again they can be absolutely life saving from a mix balance point of view. Not least in a live setting. In fact, you can get very creative with this pedal on your board, and the dedicated MIX knob is essential when it comes to bass as it is one very efficient way to preserve the low end and the original feel of your tone while at the same time dialing in some chorus. As mentioned, the DETUNE knob can also take your creative options to new heights, even though I do tend to feel a little seasick when twisting that knob to either of the extreme settings. 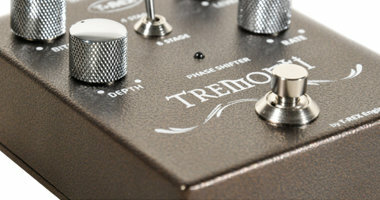 As was discovered in the sound clip sections, this pedal can be subtle, extreme or anywhere in between. It can even be subtle on groove playing, yet audibly significant on high-frequency content such as flageolets at the same time. Finally, the BOOST knob can come in very handy if you happen to use the chorus effect as a kick-in sound for soloing. Often, you would want to also give the overall level a little bump in those situations and while you can use the BOOST knob to compensate for lost level, you can also go beyond that and use it as a dedicated boost for soloing with chorus. At the end of the day, the versatility level of the Boost Chorus Bass pedal sure is very high. The ruggedness of this pedal is on the usual, high Tech 21 level. A nice and sturdy chassis gives you confidence that this pedal will take a good beating and still deliver as promised. 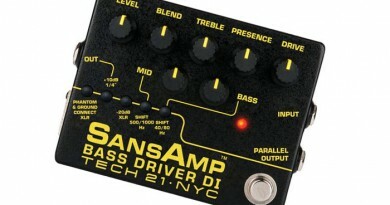 However, this is not a pedal I have had on the board for years and years, so a long-term statement based on experience is not possible, but as mentioned, I have no reason to suspect that Tech 21 has skimped on the quality of this pedal and I do have a SansAmp pedal that I have stomped for more than a decade with no issues at any point. I like the knob layout and while many knobs and control parameters give flexibility they may also add confusion to the mix. I think that the main choice you have to make for each tone you want to create with this pedal is whether or not you want to engage the MULTI VOICE option. It really makes a massive difference as was demonstrated in the sound clips section of this review. 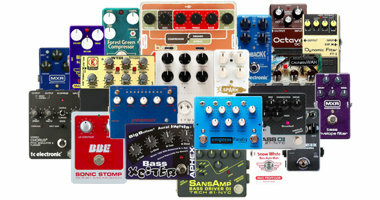 Should I wish for one thing to be different about this pedal it would have to be that it has a pretty big footprint. Pedal board real estate is always precious and usually I really have to love the sound of a pedal to give it a permanent position on the board if it is much bigger than the standard Boss, MXR or TC size. Today (2015), most online dealers seem to have agreed that $189 is the right street price. Considering the versatility and great, lush tones I think the value is good, yet without being absolutely mind-blowing. 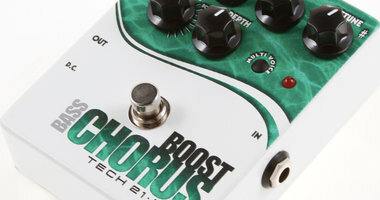 The Boost Chorus Bass is a great-sounding pedal that is tailored for bass. 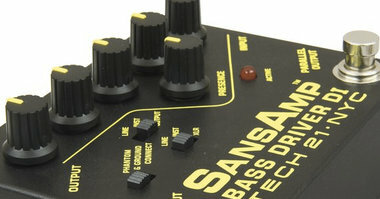 It keeps the low-end of your signal intact, is very flexible and reasonably priced. What’s not to like? If you’re into chorus on bass, this one should definitely be on your short list of pedals to check out.